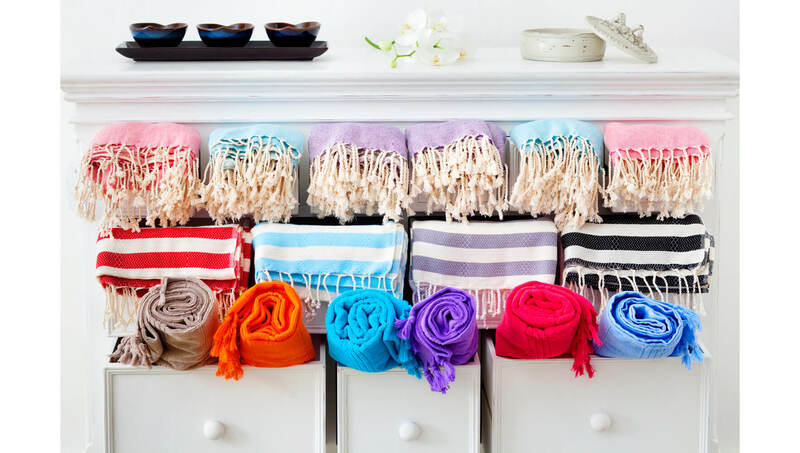 We launched our very first cotton throws last year as a product variation. 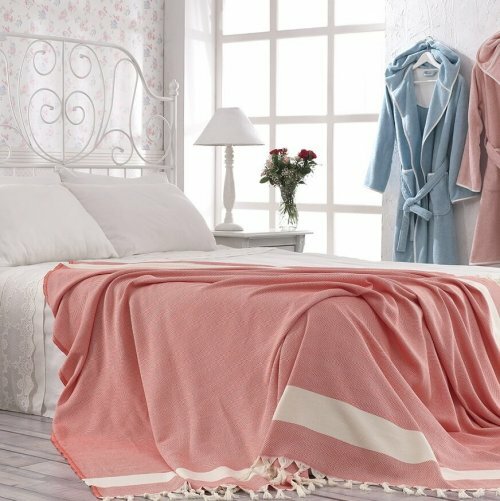 We just wanted to see the customer response to new products like bedspreads, fully-certified organic cotton towels & robes and throws. And we were really happy to see how warmly our bedspreads and throws had been welcomed and so much loved. 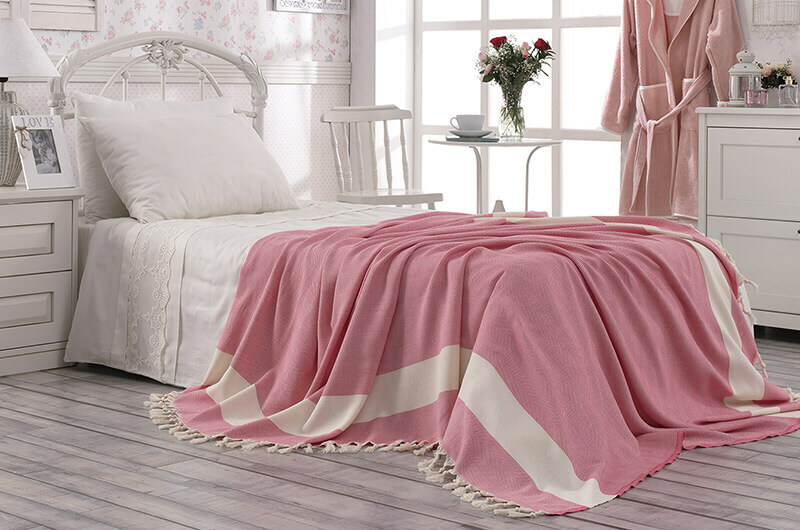 We’re delighted to announce that new cotton throws are soon going to be available. Our concept as Cotton & Olive is heavily committed to offering all-natural products, very gentle for the skin and for the general well-being. We are strict about the quality of cotton yarns getting into our products to make sure there is no synthetic in the blend at all. Apart from Cotton & Olive’s emphasis on all-natural fibre, our second biggest passion is colour. We do love colour and would love to offer as much colour variation as we can to you to cheer up your home. Colour is the energy of life, living, joy, excitement. Why not create some more room for colour in our lives? And finally, with the launch of our throws and bedspreads, the third biggest and best highlight of Cotton & Olive is achieved which is pattern & texture. We love embedding patterns of all sorts into our beautifully hand loomed products which perfectly go hand in hand with colour. It is a huge project to create a new design from scratch in the first place and to put it together to physically achieve something already conceived in our minds. It is a journey full of disappointments as well as joys to bring a product into life and above all to achieve the quality and look that has been dreamed of. 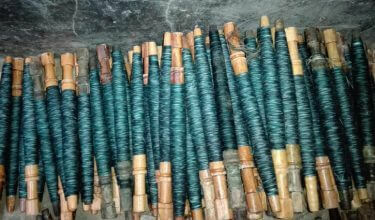 It is a continuous collaboration and detailed talks with our artisans who are the real dream-catchers in this project! We had to make them feel what we felt and put their skills into the creation and create what is dreamt of. Yes our bedspreads and throws are the products of a long journey yet I can’t say we didn’t enjoy it. We loved it! 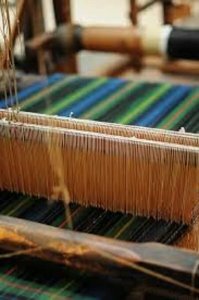 It was not only us, our local weavers in Turkey were also passionate about creating something they felt challenged and excited about, something new to them and to their skill set. We can’t thank them enough for their patience and enormous craftsmanship which really help us through the creation of this new throw & bedspread collection. Our new products that are about to embark onto Cotton & Olive’s webpage this winter are embracing all 3 qualities of Cotton & Olive highlighted above; namely being all-natural (100% cotton), colourful and full of pattern. 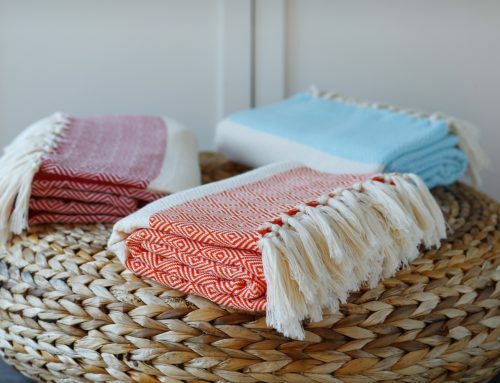 Some of our throws are thicker versions of our beloved Hammam Towels: Ida and Retro Throw from last year’s collection are the woven throws that you can see under the Throws tub at the home page. 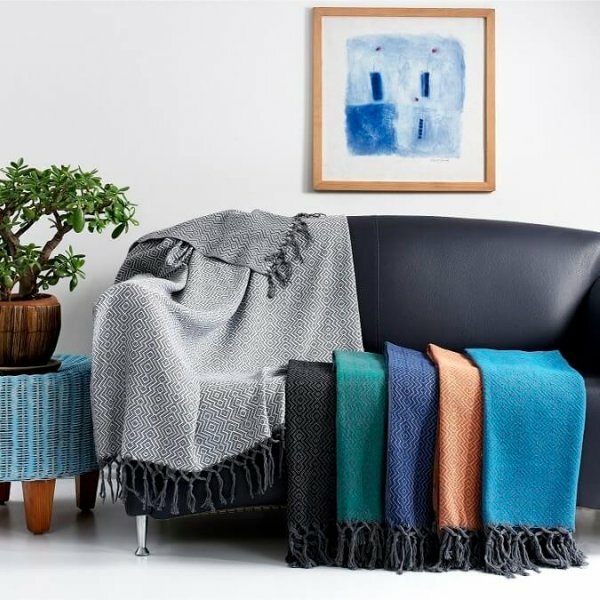 Our new woven throw is going to be called ZigZag and they are going to be in numerous colours again in total alignment with our ‘Colour Tradition’ – zesty orange, cobalt blue, jade green. It’s going to be like a carnival place, vibrant, loud, full of joy and energy! We haven’t ruled out the moderate greys and blacks all together by the way. They are taking their place with full effect on in our colour spectrum. It wouldn’t have been complete without them anyway, would it? The real new look, however, is the jacquard throws which I personally find really cool and trendy. If you are a home-trends person and like to apply these refreshing new trend finds in your home, then these jacquard throws are something you definitely need to look into. As for technique, with jacquard weaving, you can create any pattern you want and translate it into the textile. It helps to encourage the creative spirit every artist dreams of beyond limits. We’ve introduced five new throws, all jacquard woven, each featuring a different geometric pattern and some are inspired by traditional Turkish motifs, modernised to fit into any room style to give a different flair. 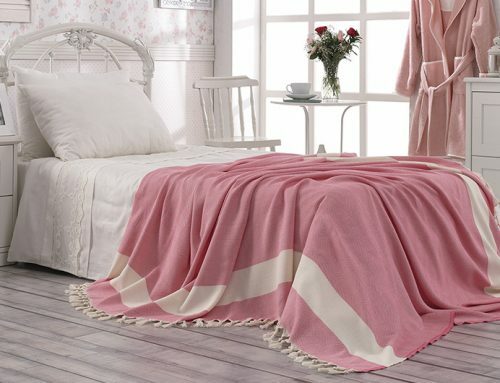 Some of them are presented in smaller sizes 100 x 200cm and the others are 150 x 240 cm which can also be used as a single bed cover. They are functional, fully machine-washable and lovely to cuddle! They will be available online soon. We are excited and can’t wait to launch them. I am Ilgen - I was born and bred in Turkey and unexpectedly moved to UK with the family in 2005 and even more unexpectedly stayed here for good. The reason for this move was my husband’s job assignment with BP, UK. 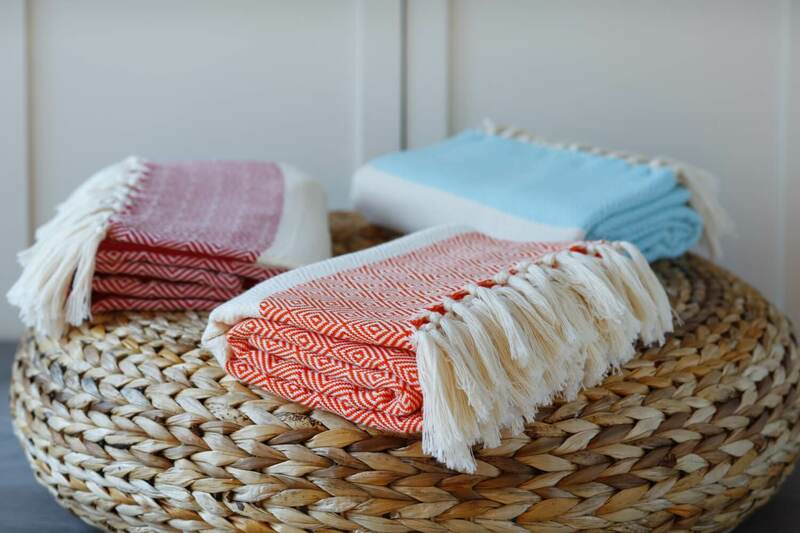 My passion for peshtemal towels started in 2006. I was always fond of these handy traditional towels as a user. I started to try to sell them in the UK, although it was more like a hobby to me rather than a business. After a few years it became a serious business with great potential for growth but never losing its fun spirit, in the least. 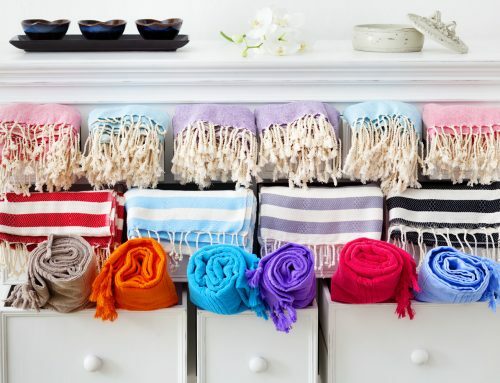 I am the greatest fan of these Hammam/Peshtemal towels. 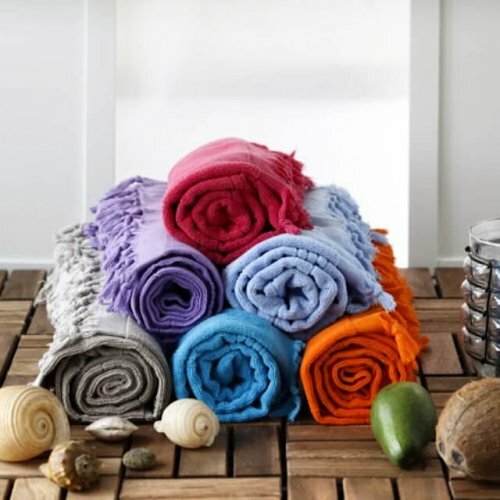 Now we have introduced many other products and ranges to complement these towels and we are delighted to bring these high quality products to the UK.